I haven’t written a blog in a while because I have been so very busy with so many things. One of those things is football. Last year I signed up for AFC Wimbledon thinking that I wouldn’t actually play, precisely because of my busy schedule and I felt silly to be starting football again at 24. But very, very quickly I got drawn in and I couldn’t help but be at almost every training session and every match. My team wasn’t the strongest, so I played 90 minutes every game and absolutely adored it. I came to remember how much I love a great stringing-together of passes, or scoring a header, or the tension on the pitch as players get competitive, or the self-sacrificial nature of football that let’s you put your body and self on the line to win the ball and the game. I was sucked in and I couldn’t get out. Even more so when that season was over and my club announced that they were pumping money into the women’s side to get them back to Premier League level within the next four or five years. All of a sudden there was a complete revamping. Myself and one other player so far are the only ones to have made the cut for the new team and training has started to resemble my US Division One trainings — resemble, I say, not mirror — yet. We got new gear and have better training facilities and fitness coaching. Thus I have gone from wary and unsure about playing football again to constantly anticipating practice and games and thinking about how I could be the league’s best defender. Yes, I said the league, not the team (because not many girls like defending anyway) AND yes, I said DEFENDER. If you know me you know that I was that selfish, relentless forward in my teens and then that play-creating midfielder or big-bodied forward later on. I wanted to attack and had little patience for anything that wasn’t going forward and scoring. A game has few goals, but all other parts of the game annoyed me if we weren’t attacking the goal — namely, and most certainly, defending annoyed me. I refused to do it at times and when I did do it I just LOVED to dive in. But now I am a defender because one game our entire defence was missing and I opted to go back. Since then I have never returned to midfield. Bianca the central defender. Who would have thought? Bianca who is usually the one who despises the monotony of foundational activity — that is, does not enjoy the basics but adores the adventurous. 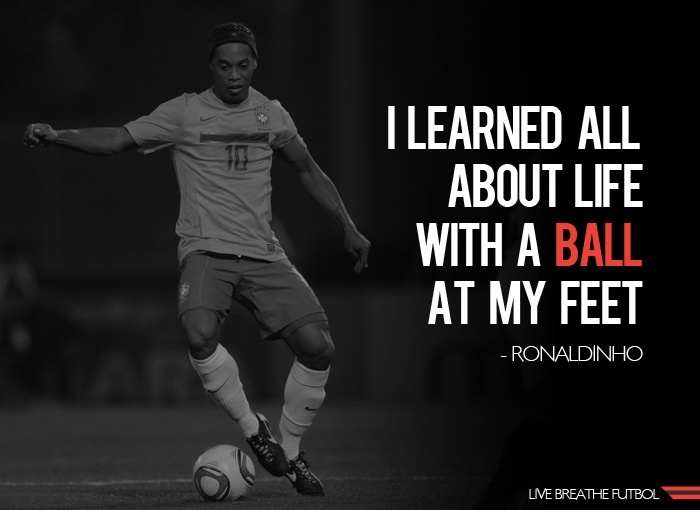 I would always go for the most difficult pass because it challenged my ability and it looked great. Bianca who usually isn’t committed to anything except being rogue — playing how and where she wanted and letting her ‘killer instinct” lead her rather than the coach or surrounding players. Bianca who could only work as a team because it meant that 10 players work hard to get her the ball so that she could enjoy playing with it and hopefully scoring. Bianca is now a defender. And it is the most challenging and rewarding experience she has had in a long time. Physical stature and presence: I am 6ft tall and a solid woman, which means that I can’t fade in the background and I can’t go unnoticed. Because of my height and size people have an immediate expectation that I will be dominant, confident and mature. We all know that expectations are the very weights on the camel’s back, but how I see it is that (humble) dominance, confidence and maturity are qualities I WANT to have. So the fact that people expect it from me and that I have been given a stature that implies those things makes me all the more desire to meet those expectations. But of course I am not all of those things. I am confident when I feel like I have the upper hand but I become a mumbling ant when I feel someone or some people are better or more confident than me in any way or thing. I am mature when it comes to my philosophy but extremely immature when it comes to my ability to stick to the basics, be professional (because a lot of the time professionalism involves doing the basics well and often) and my inability to stick to the plan. But being a defender is really training me to be the woman I want to be. Leadership: I find this one of the most challenging, mostly because I have never been the most popular person on or off the pitch. I am a passionate, enthusiastic and impulsive person which means that in a game I shout and I mow people down and I get annoyed when I make a mistake so it interrupts my play (I have a habit of standing on the spot and stamping and kicking myself when I make a mistake, while the ball is still playing and the other team, as a result of my mistake, is attacking). I care not for winning friends but for winning games so my tact is often non-existent and even though I might have played the best game of my life I don’t get voted MVP because I have injured a few people and angered a few others. But truly, truly at this point in my life, I want to be a leader. I want to stand there at the back of the field and be able to organise my midfield and defence with intelligence and stature and would be so proud to be able to be a captain. If I was ever made captain it would be because I have been humbled and transformed into a player who can care both for the teammates and the games, one who can manage her passions and impulses and adapt the way she speaks according to the player she is speaking to. One who can form strong bonds for the sake of better communication and in the knowledge that because communication is better, output is better, and because output is better, more enjoyment will be had. This is really important for me to learn as my philosophy has always been that in order to make something more fun you must be a rule-breaker and a rebel. But the truth is actually that playing by the rules, if you are crafty, can be way more beneficial. Sacrifice: Have you ever seen Pique play? He literally throws himself at every ball with no regard for his appendages. And he is so good at it that his appendages are very accustomed to the bashing. That’s sort of how life is too. You make sacrifices so that you can move forward, get your goal, and at first it really hurts to push yourself infront of what seems like life’s constant attack on your confidence and output, but after a while sacrifice becomes habit, it becomes second nature, and you build a true character of giving your all for the things that matter most. This is something I really want to practice on the field this season. I have already found myself dissatisfied at practice when I let a goal in. No ball shall pass here! Patience: Oh my… how many of us are actually patient? As a defender you have to be able to hold the ball and slow down the game when necessary. You also have to track the attacker and wait for the right moment to tackle and you don’t often see the benefits of your strong defence until someone on your team scores. It is all about waiting, waiting for the right moment to attack on the break, waiting for the right moment to tackle, waiting for the team to reform its shape, waiting for the team to get behind the ball, and waiting for the results which most of the time you do not have a direct impact on (unless you make a heroic run up or score on a corner which would be AMAZING). You also have to be patient with your team members which thus enables you to lead them better. Patience is a true virtue in defence and it is one that I am looking forward to developing as I challenge myself to be the league’s best defender. Awareness and Focus: Defenders cannot switch off. While forwards can hang out for a bit up front without doing any real harm (something I did a few times myself), defenders must always be aware of where the opposition’s forwards are, where the ball is, where it will be passed next, where your teammates are and where they need to be, which is the weaker foot of your opposition’s players, which is the weaker side, where your forwards are for the break, and where you need to be to win every 50/50 ball. As a defender I am learning how to not switch off and daydream. And boy, this is a task. I am the world’s most prolific dreamer, having been reprimanded in school so many times for not paying attention or being engaged because my daydreams were way more fascinating than anything the teacher said. Many times in the last season I would have a spectacular 45 minutes and then with one slip up the ball would go into the back of my net and all my efforts peel away into nothing. I am determined not to let that happen again. No ball shall pass here! There are many more qualities of a great defender but these are the main ones. I continue to believe that football is a great training ground for character. I may not have gone to finishing school or be as upright as my ballerina sister, but football continues to develop me into a woman that I am proud to be. And, of course, the combination of sacrifice, challenge and dependency on God, really makes football indispensably life-changing for me.